Performing a solo piece for Bay Area Diggs Deeper VI! PERFORMANCES START AT 6:15 PM. 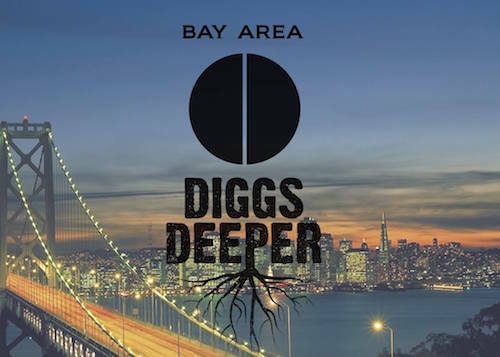 Previous DIGGS DEEPER events have been held in LA, San Diego, Phoenix, Chicago, Detroit, the DMV, Las Vegas, Raleigh, Denver, Dallas, Salt Lake City, Albuquerque and the Bay Area. FOR MORE INFO OR MERCHANDISE PLEASE VISIT.